It's This or Murder...: Paula’s Choice Skin Perfecting 2% BHA Liquid - Gentle, Simple, and IT WORKS! Paula’s Choice Skin Perfecting 2% BHA Liquid - Gentle, Simple, and IT WORKS! Because BzzAgent is awesome, I was given my latest beauty opportunity: a truly exciting new product. Skin Perfecting 2% BHA Liquid Exfoliant rapidly exfoliates both the skin's surface and inside the pore, reshaping the pore lining, unclogging pores and improving skin cell turnover rate. The result is a dramatic improvement in the skin's appearance, feel, and function which leads to healthier skin. There is a great deal of research indicating that BHA (beta hydroxy acid) increases collagen production and drastically smooths the surface of skin. Additionally, BHA has antibacterial properties that attack blemish-causing bacteria. The lightweight, non-occlusive formula allows for a faster and deeper exfoliation rate than our gel or lotion BHA products, so it's an ideal choice for stubborn clogged pores or blackheads. I know what you're thinking. If a liquid exfoliates, it must be incredibly harsh, since exfoliating products are usually the beauty equivalent of sandpaper. I'm pleased to say that you're wrong. But I'm getting ahead of myself. First, I would like to introduce you to the Permazit. That is a small red spot on my cheek that no amount of cleansing or treatment would ever get rid of. I've seriously had it for years. You can see it in this "before" picture. The Permazit faded! It's barely there. After only two more uses, it was pretty much gone. Here's a closeup of the area. All that remained of the Permazit is a tiny pit, which diminishes every day. This is not Photoshop. This is for real. That got me the most excited, but there are numerous other benefits I've noticed. The pictures above reveal a lot of them. Background: I have combination skin. 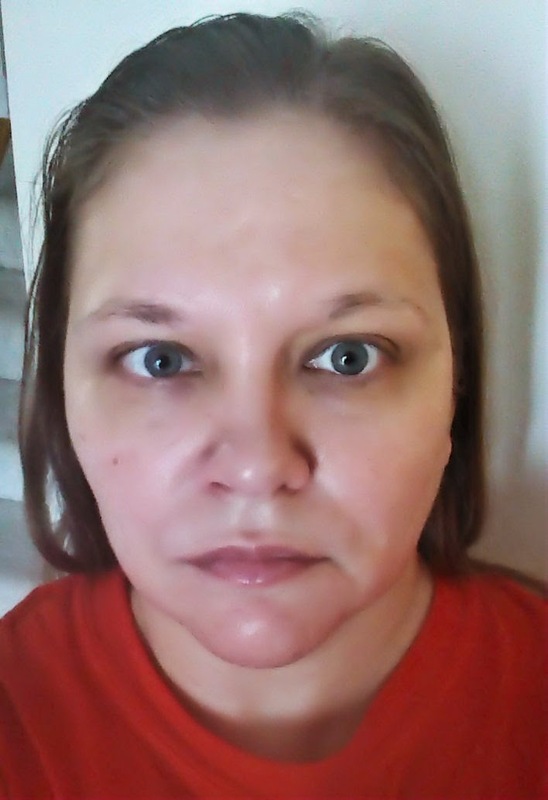 In addition to the Permazit, I had tiny bumps of dry skin along my cheekbones and jawline and around my mouth that lingered, even though I moisturize every day. The 2% BHA Liquid took them away. I have a small scar in the middle of my forehead, and fine lines were always across it. The scar looks less noticeable, and the lines are gone. Ditto the ones around my eyes. 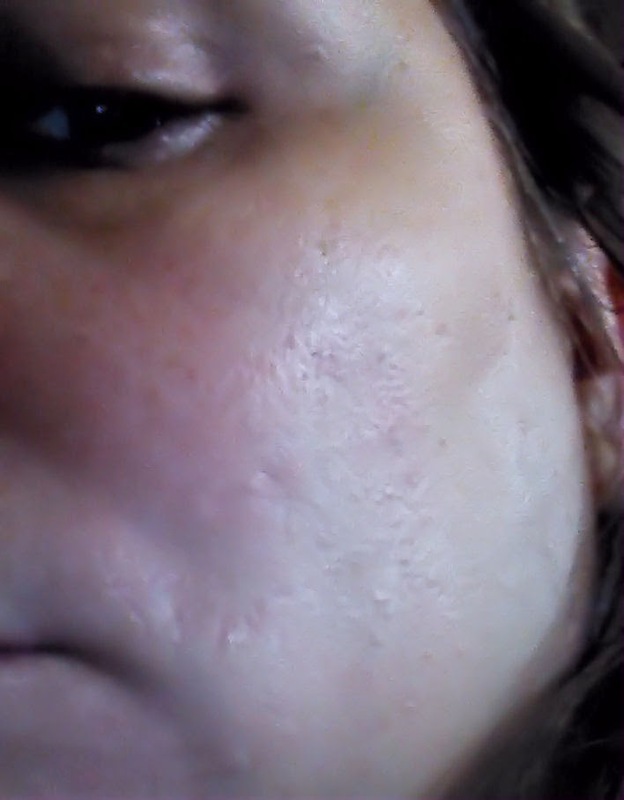 My skin felt firmer and tighter, especially around my jaw. The redness around my chin and forehead diminished as well. The pores in my nose were enormous, and they smoothed out beautifully. 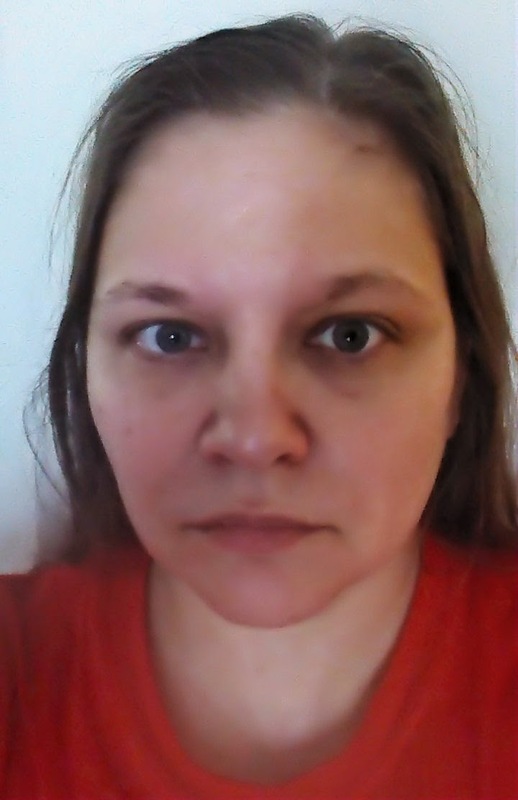 To give you some perspective, I'm 41 years old, and that's my bare face you're seeing. You tell me. I was always told to never neglect your neck when doing a beauty regimen and the product is listed as also being excellent for calluses and suchlike, so I decided to give it a try. It worked brilliantly on that area as well. I was starting to get some wrinkling there, and the skin felt dry and loosened. All of that went away. Photo proof. 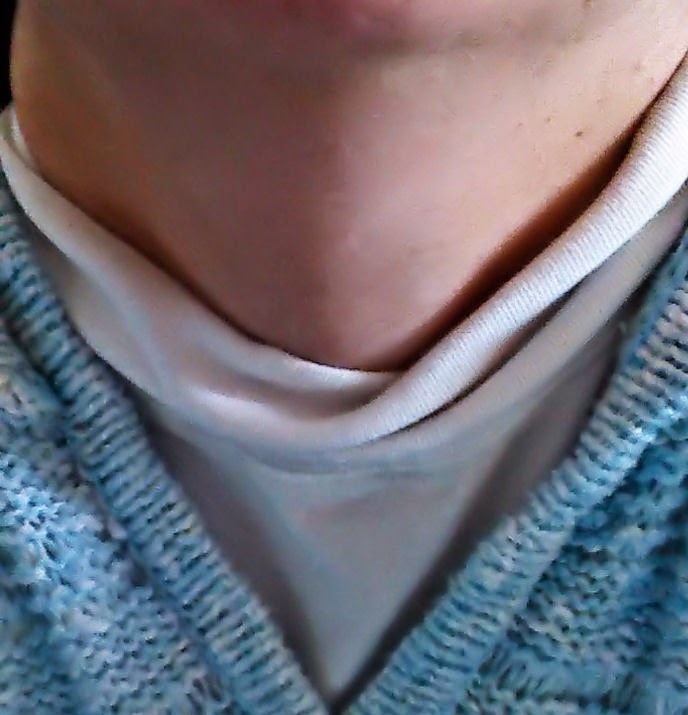 By the way, it's harder to take a selfie of your neck than you would think. If it does all that, and so quickly, it must be harsh, right? Yes, we're back to that. No. No, it isn't. It feels like light oil going on, and absorbs quickly and fully. I didn't feel any burning, stinging, or even tingling, just a feeling like my skin was tightening up, but in a good way. The directions caution to avoid the eye area, but even if I wandered there, it didn't sting like a lot of moisturizers have in the past. I did follow with a moisturizer as suits my normal regimen, but the product didn't seem in my case to be overly drying...on the contrary, it appeared to add some moisture to the dryer areas of my face. It's 100% fragrance- and colorant-free, with no added dyes or irritants, and it's never tested on animals. Ah, but the ingredients list must be a mile long? Nope again. Water, Methylpropanediol, Butylene Glycol (slip agents/penetration enhancers), Salicylic Acid (beta hydroxy acid/exfoliant), Camellia Oleifera (Green Tea) Leaf Extract (anti-irritant/antioxidant), Polysorbate-20 (solubolizing agent), Sodium Hydroxide (pH balancer), Disodium EDTA (chelating agent). That's it. If any of those confuse you, go here and all will be explained. Paula’s Choice Skin Perfecting 2% BHA Liquid is a distinctive and very different product...I've never seen or heard about anything like it. It works even better than it claims to, and it's a great value...you only need a small amount for each use. I say go for it...it's awesome. It retails for $23 and is available online at PaulasChoice.com, Dermstore.com, SkinStore.com, Beauty.com and Birchbox.com, as well as at select Pharmacy stores. If you want to spread the happiness around, check out their referral program. They get $10 discount on their order, you get $10 credit! I received a free product from BzzAgent in exchange for my review. My opinions are my own.